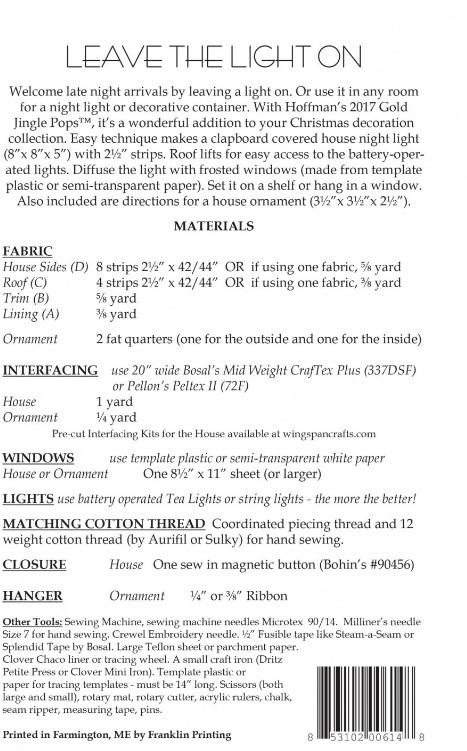 Pattern and Bosal Double-sided AT614. 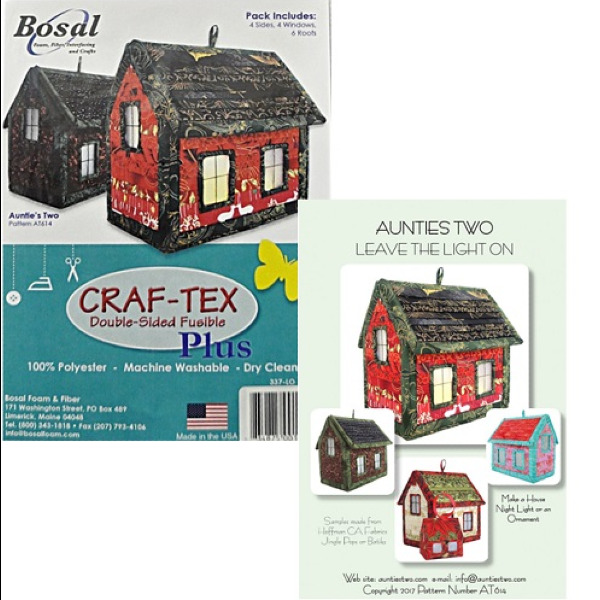 Plus Fusible Double Sided House Kit- For use in Auntie’s Two pattern Leave The Light On ATP614. 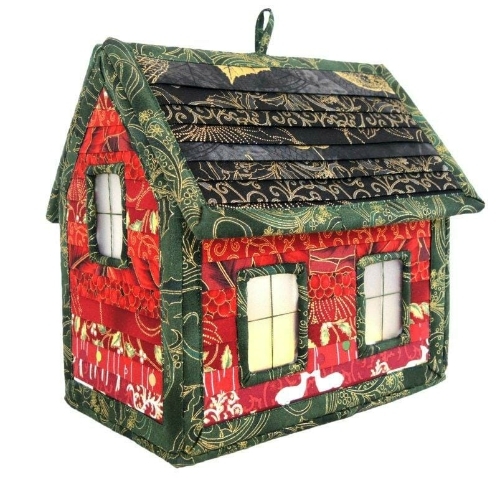 Kit includes pattern, 4 sides, 4 windows, and 6 roof pieces.